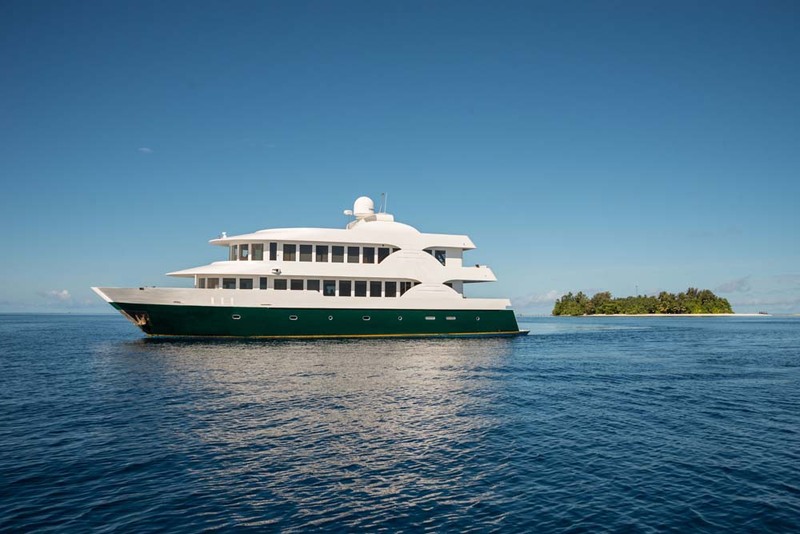 Emperor Virgo is a large and luxurious liveaboard diving Maldives yacht that sails around The Maldives all year. 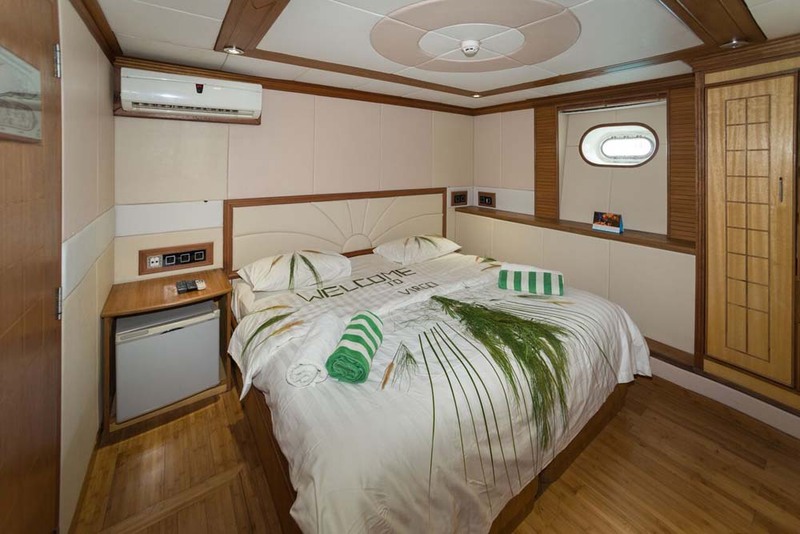 Built in 2012, it is 32 metres in length and takes no more than 18 diving guests in twin or double bed air-conditioned cabins with private en suite bathrooms. 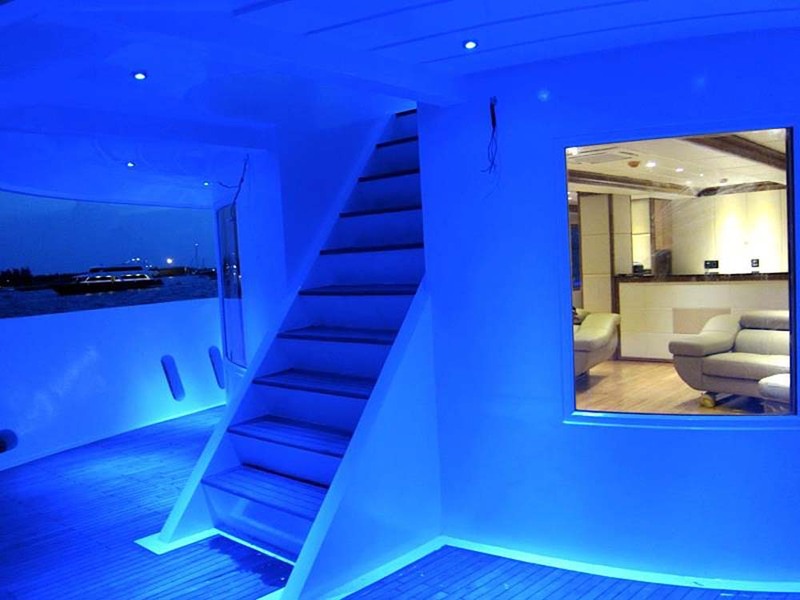 The boat was designed and built specifically for Maldives diving cruises but maximises space by using a large tender boat (known locally as a ‘dhoni’) to store equipment and transport guests to each dive spot. 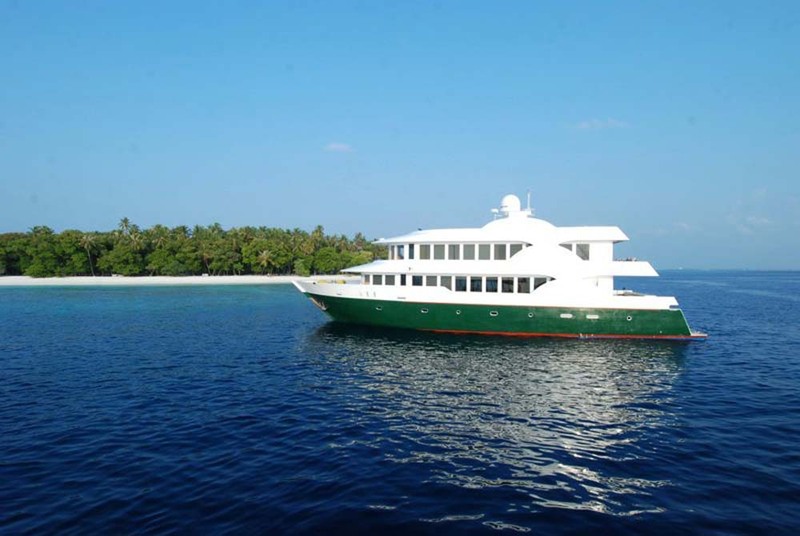 Maldives diving trips are normally one week long and visit the very best dive areas of the Maldives at any given time of year. 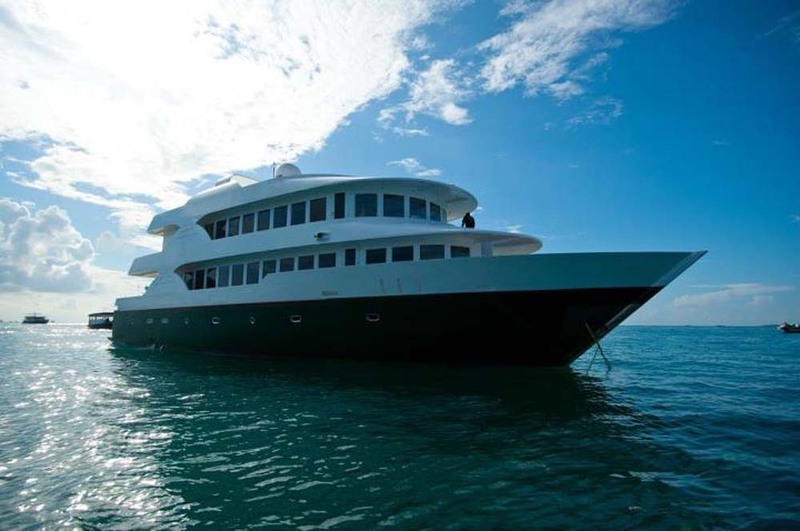 Emperor Virgo is one of the most popular Maldives diving liveaboards due to its perfect balance of comfort and cost. Safety and service are second to none, and Nitrox fills are free. 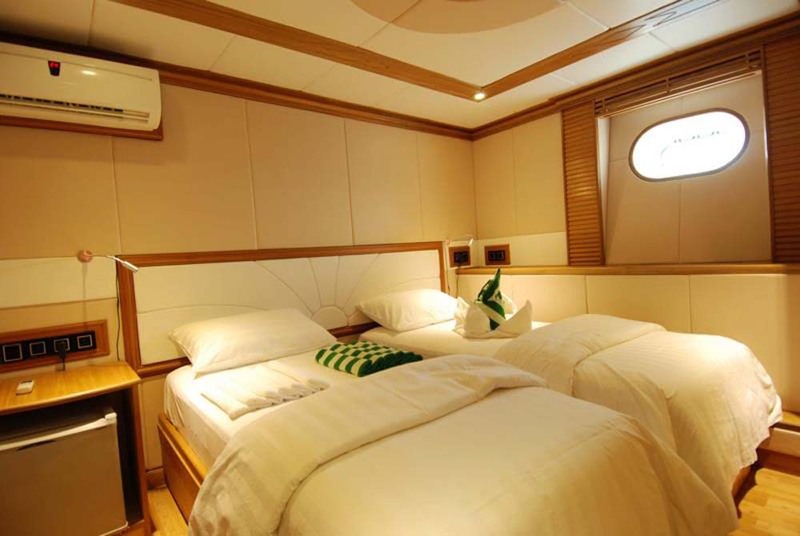 There are three main decks on Emperor Virgo. 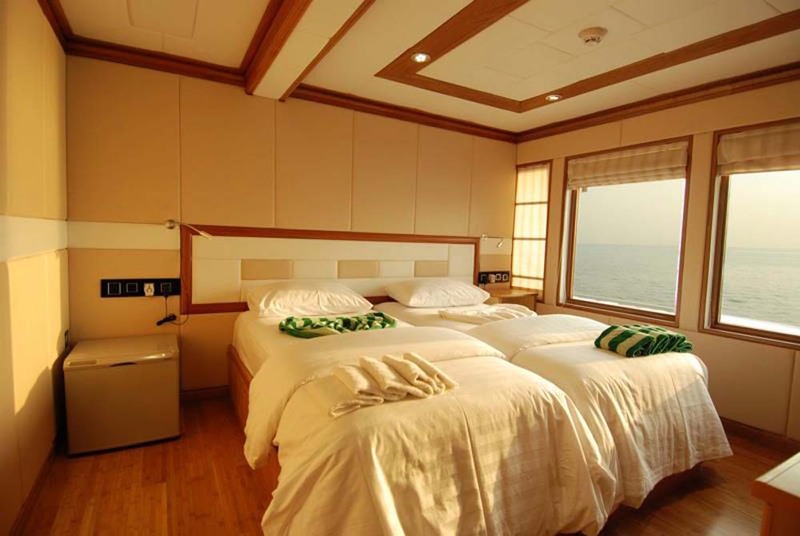 5 guest cabins are on the lower deck, and the main and upper decks have two cabins each. 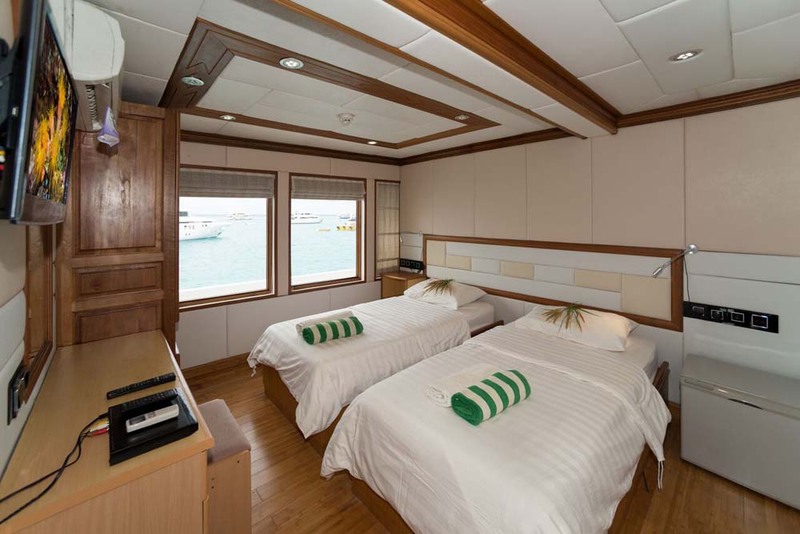 The upper deck cabins have huge windows allowing guests to enjoy the beautiful views around the Maldives archipelago. 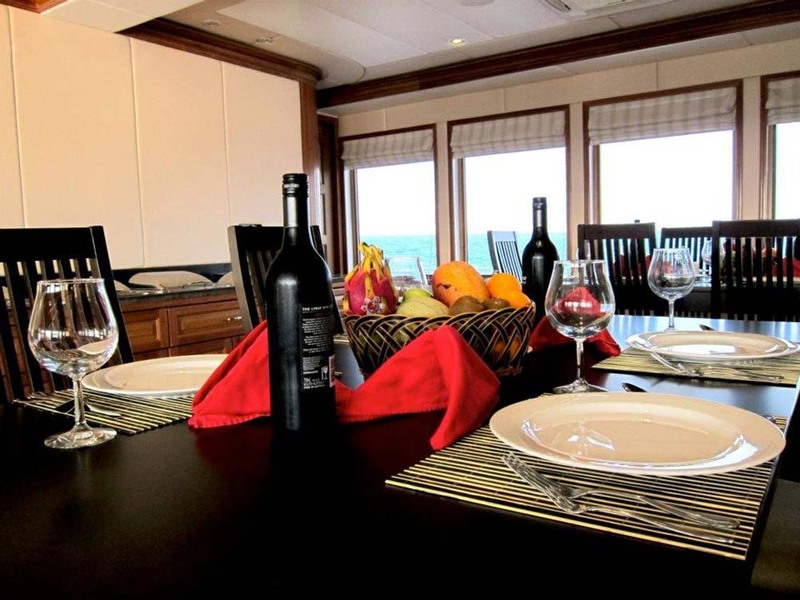 The décor and materials used around the boat are elegant and practical, ensuring that divers can move around the ship easily and enjoy fine dining and evening drinks in luxury. 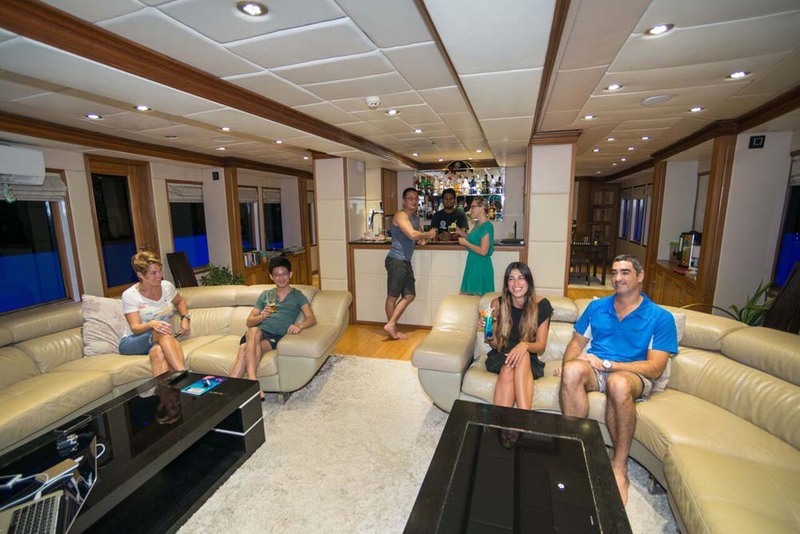 Like most of our Maldives liveaboard diving boats, there is an air-conditioned saloon/lounge that is ideal for enjoying a movie or showing the day’s underwater video or photographs. Guests are always able to find somewhere to sit in privacy or comfortably in a group. Wi-Fi is available when in range, at a small extra cost. 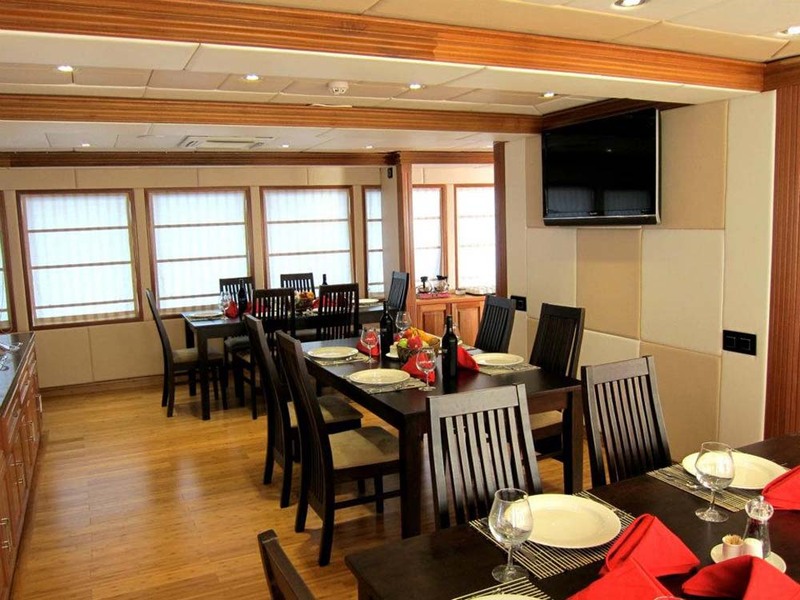 Delicious food is served every day, and the internationally-stocked bar should appease all tastes. 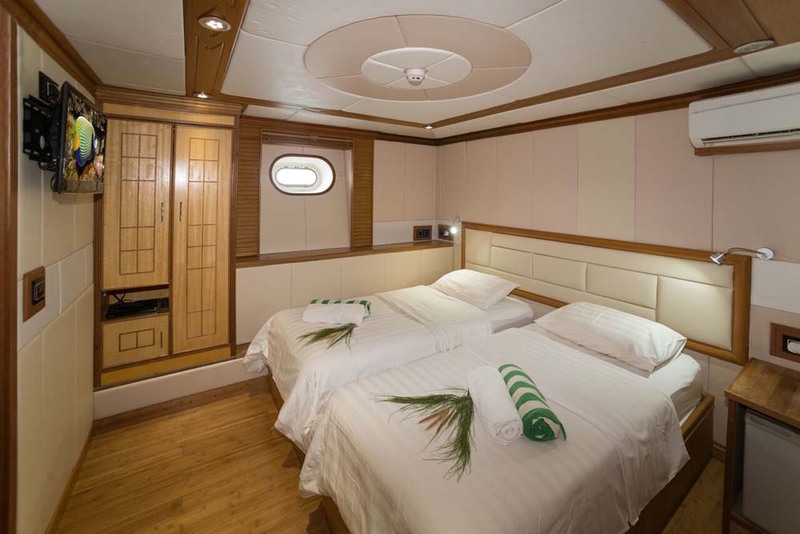 To ensure that divers are dropped off and picked up efficiently and to maximise space on the ship, Emperor Virgo has a large tender boat for Maldives diving activities. Nitrox fills are free for certified divers, and those who have rebreather equipment can dive too. 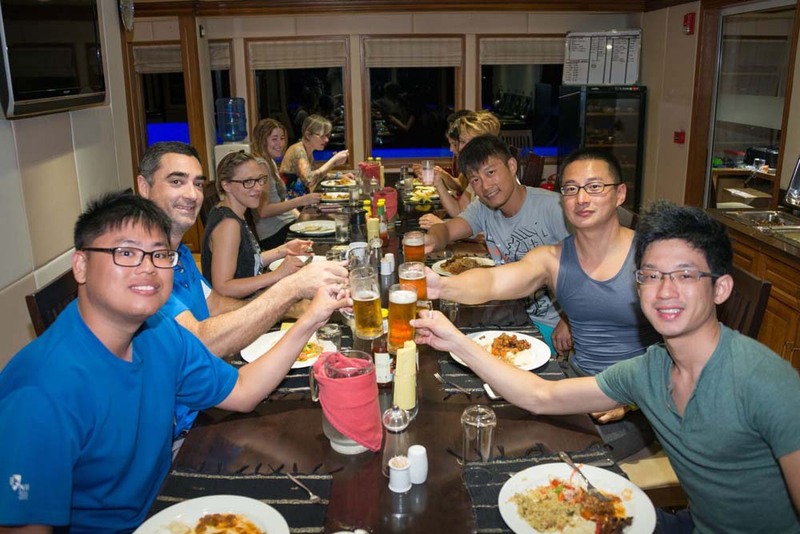 PADI & SSI diving courses are available, and better when booked in advance. 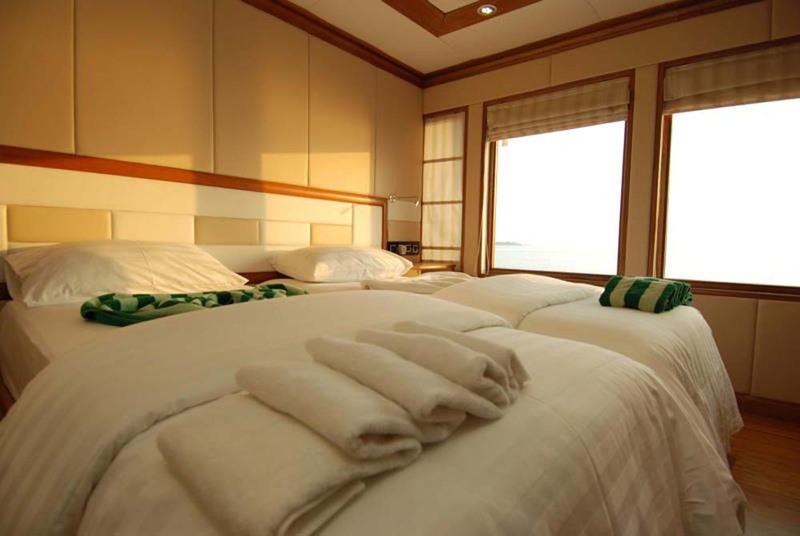 All in all, when taking into account the price for the luxury, service, trip length and some of best dives Maldives has to offer, there is very little to beat Emperor Virgo for the best luxury liveaboard Maldives cruises. 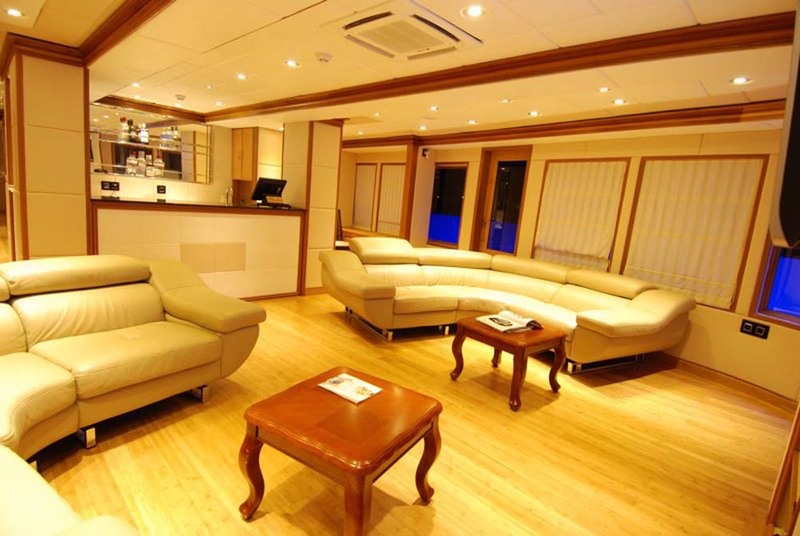 Emperor Virgo sails throughout the year, but occasionally has a month or two break for dry-dock refurbishments. 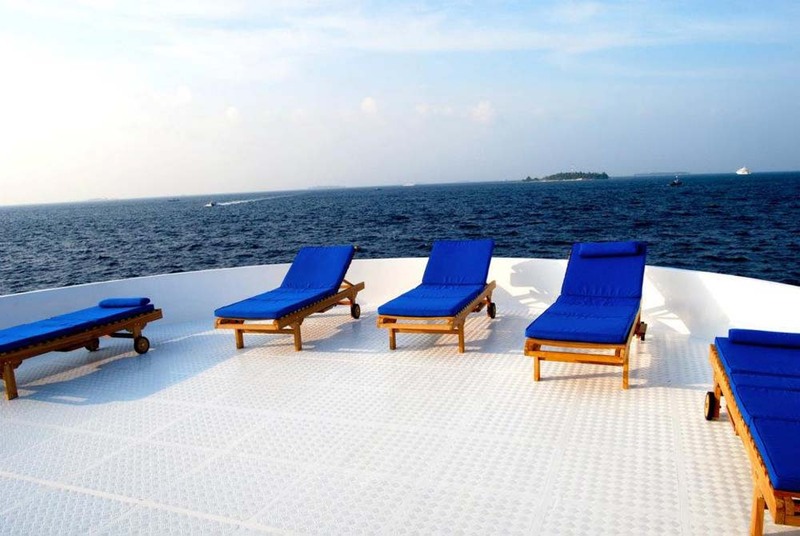 Most trips depart from and return to Male, at a port just 10 minutes’ drive from the international airport. 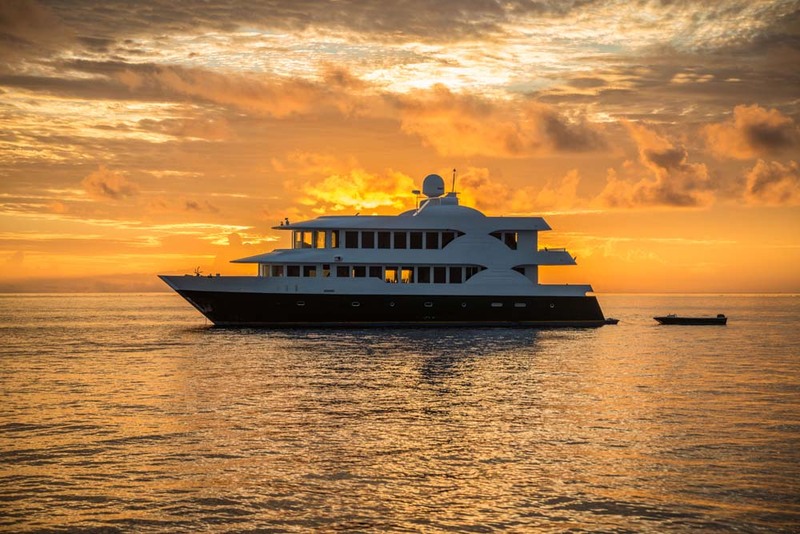 Depending on the time of year, the best diving Maldives sites are chosen to ensure the maximum diving enjoyment throughout each cruise. The most common itinerary is known simply as ‘The Best of The Maldives’ 8D/7N which visits North Male, South Male, and Ari Atoll. 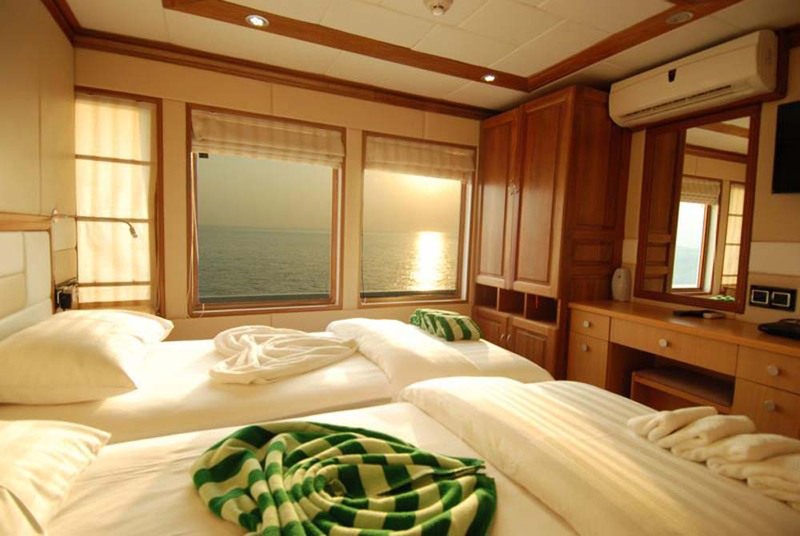 These trips are suitable for all levels of diver. 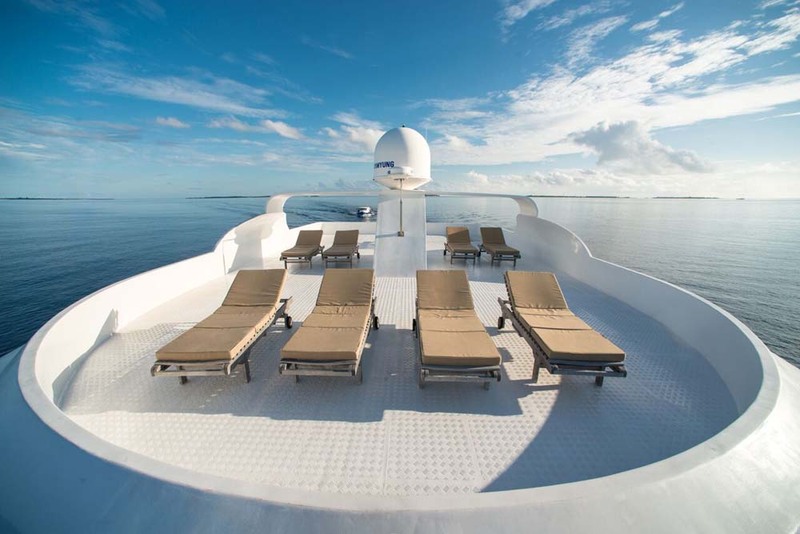 In January to April, Emperor Virgo also offers trips with itineraries named ‘Sharktastic,’ ‘South Central 7 Atolls’ & ‘Deep South & Southern Sharks.’ Most trips are 8D/7N with 6 diving days and up to 17 dives. Sharktastic trips are a little south of Male and visit 4 atolls. 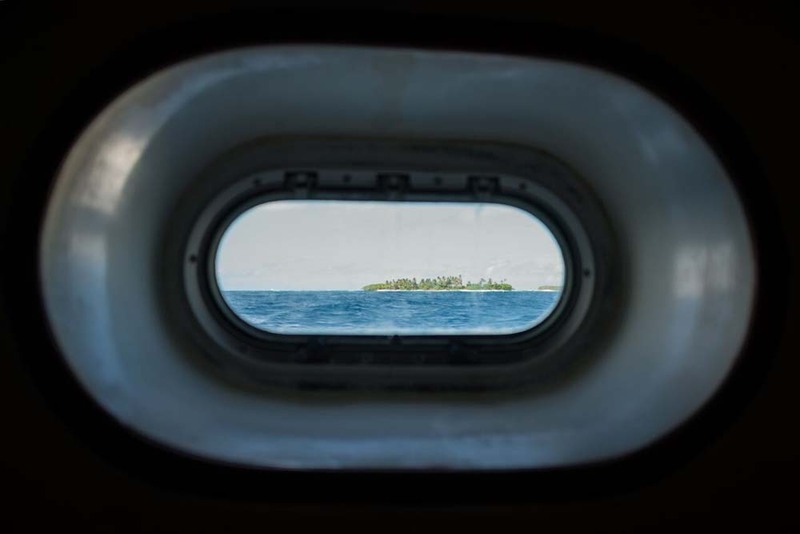 South Central cruises begin at North Male and go as far down as Laamu Atoll. 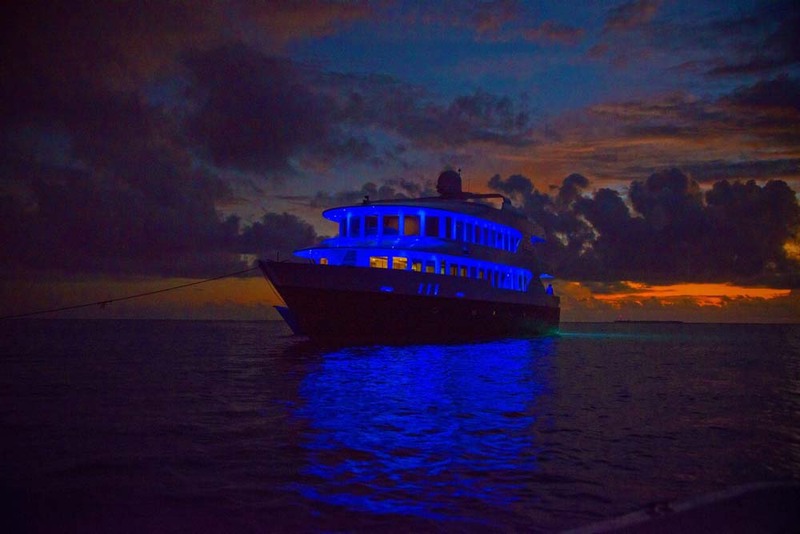 The Deep South itinerary includes a short flight to (or back from) Huvadhoo at the start (or end) of the cruise. 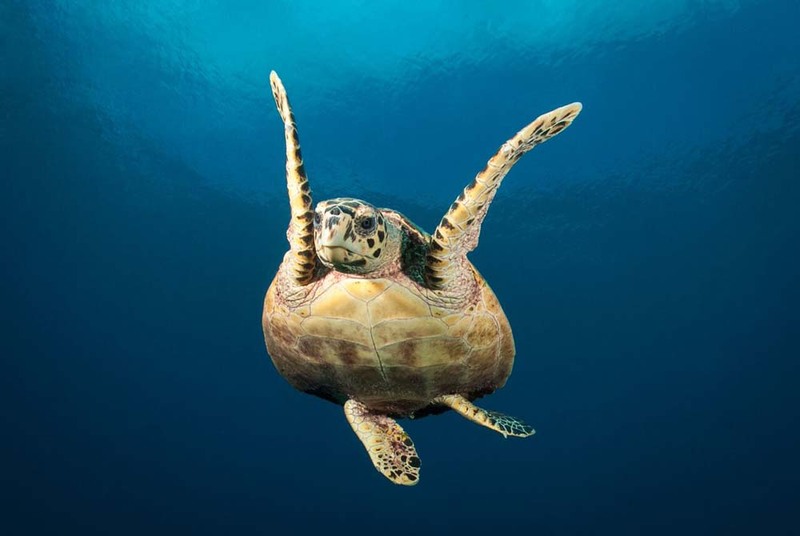 These trips are better suited to more experienced divers. 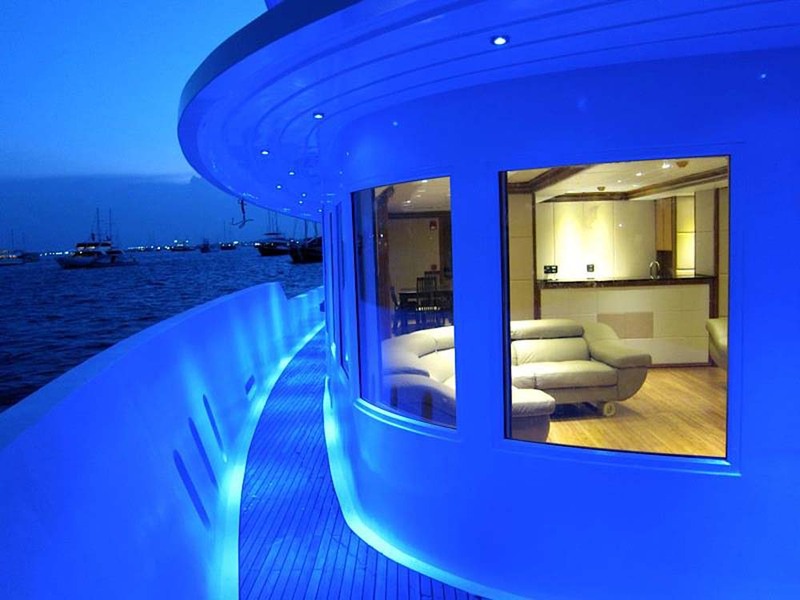 Dhoni: Large Diving Dhoni, Fully Equipped With Compressors, Tanks & Oxygen Kits. Water Makers: 9500 L / Per Day. Compressors: 2 X Coltri and Nitrox. Ensuite, DVD, Hair Dryer And Air Con. 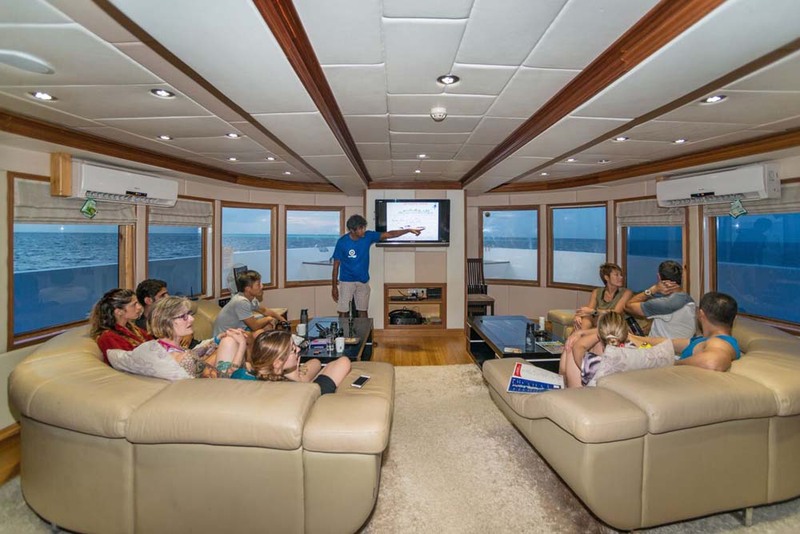 There is a wide range of diving courses available while diving the Maldives on Emperor Virgo, covering a variety of levels and specialities. 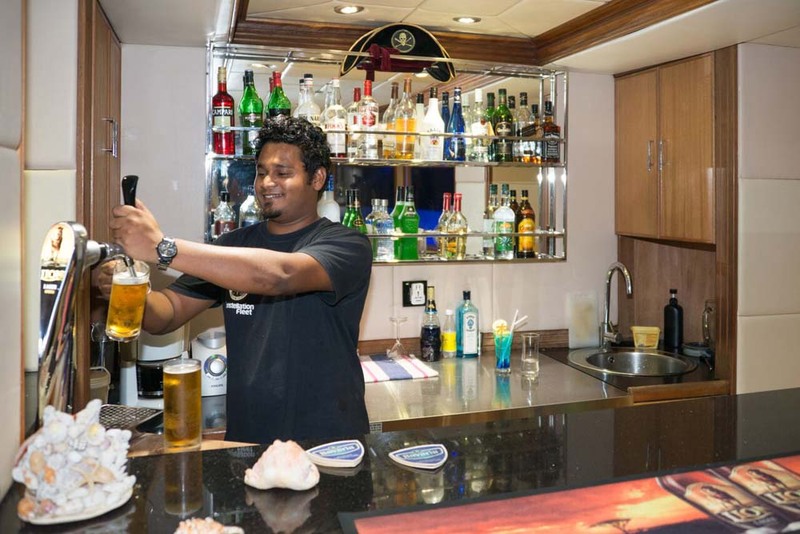 It is important to let us know well in advance if you would like to take part in a course on the cruise so that the team can prepare the staff and materials. Courses are available upon request, but need to be pre-booked so that the staff can prepare.